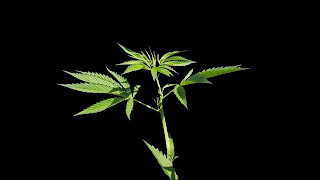 There have already been several professional polls and studies around the world, which prove that people are in favor of legalizing marijuana and now, the Gallup Poll, has proved that at least 58% of Americans are ready to legalize this herb. This has been the largest number of Americans supporting the legalization of cannabis, in the Gallup Poll results and this proves that we are getting closer to our dream. According to Gallup, the legalization of marijuana in Colorado and Washington last year, might have been one of the reasons, why more Americans are now supporting this and why so many have changed their minds about this herb. Gallup also stated, “support for legalization has jumped 10 percentage points since last November and the legal momentum shows no sign of abating,” which is certainly good news, for all of us who support the legalization of marijuana around the world. Some of the questions that were asked in the latest Gallup Poll, include "Do you think the use of marijuana should be made legal, or not? and How should this herb be produced?" This give a better idea of what the people in the US want and it only helps everyone to admit, that marijuana is a herb that need to be legalized as soon as possible. 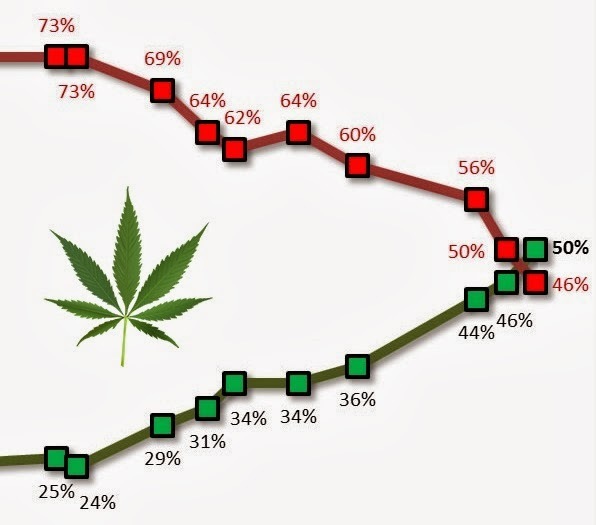 According to some of the results in the Gallup Poll, most of the people who oppose the legalization of marijuana are above 65 years old and this proves that they have stuck with their old mentalities and are not willing to change their mind about this herb. Although, a large number of senior citizens, are already using cannabis as a medicine, we still need to convince a lot of adults about this herb. It is obvious that legalization is the answer to many of the current problems in our societies and it is only a matter of time until this happens. Please remember to share and like this blog post and to subscribe to our free mailing list to the right. We will send you more information related to marijuana and more news about legalizing this herb worldwide.